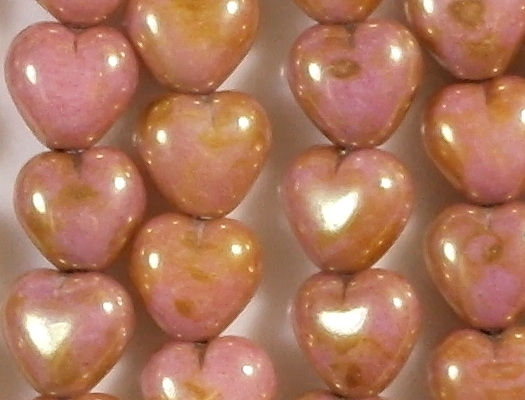 Size/shape: 6mm (long, from hole to hole) x 6mm (wide) x 4mm (thick) chubby heart-shaped beads. 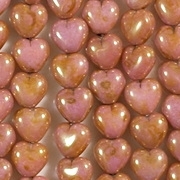 Colors/description: Opaque pink which has a slight violet tint, covered by a mottled golden-topaz coating. 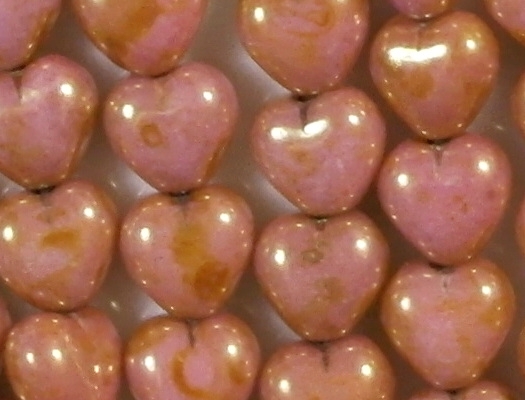 Defects: The close-up picture didn't reveal any defects. 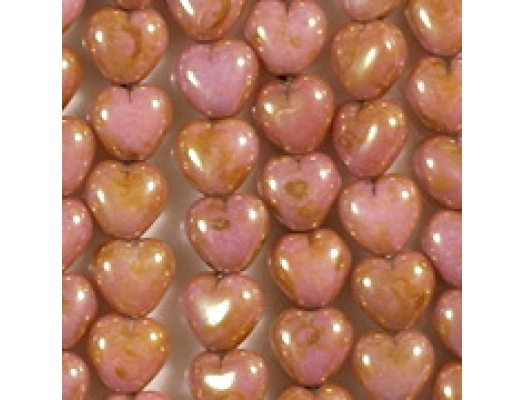 Comments: I carry this opaque pink/topaz combination in other shapes and sizes. 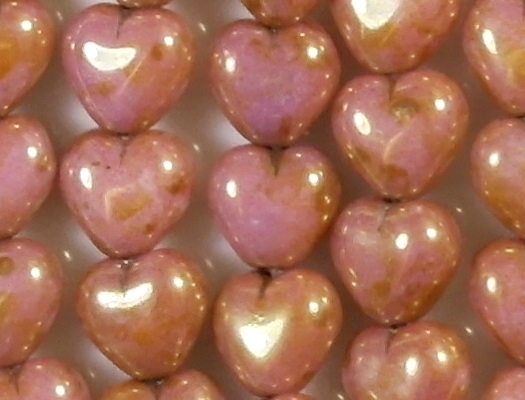 It looks particularly good in the heart shape. 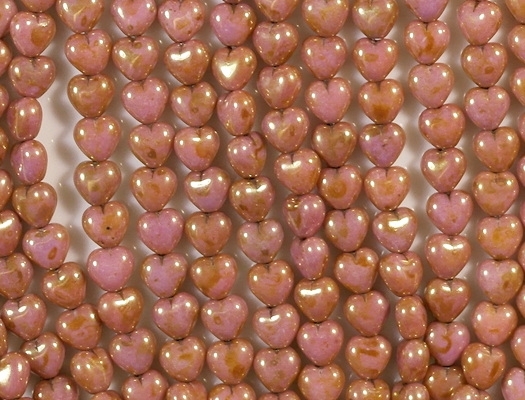 Please note that the beads were photographed under very bright lights. 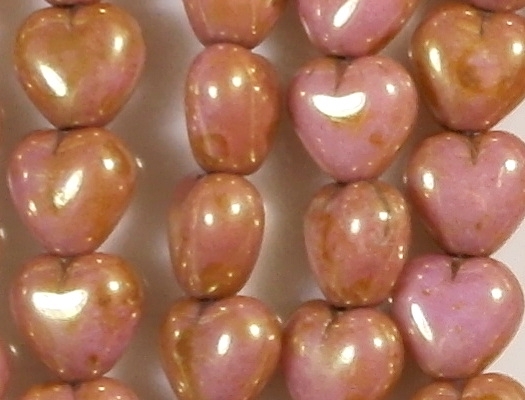 Under low lights, these beads do not look nearly as colorful, bright and shiny.